Trust your lungs with professionals who truly care. The Respiratory Practice begins with Dr Jim Teo, with a simple vision in mind – to give everyone suffering from lung problems, a new breath of life. First started at Mount Alvernia Hospital, since then it has expanded into a group practice with 4 specialists and 5 clinics that are supported by a team of Nurses, Lung function specialists and clinic executives. As specialists in the field of lung and intensive care medicine, we understand the importance of breathing in every person’s life. With every new breath, our bodies are reinvigorated with life-giving oxygen, while carbon dioxide, the product of metabolism, is expelled – a simple process happening naturally in most of us, but crucially laboured for those with lung problems. The Respiratory Practice strives to provide excellent, uncompromised professional respiratory general and subspecialty care for every single patient. Our practice is well equipped with state-of-the-art diagnostic and therapeutic equipments set in a comfortable, pleasant clinic environment. For more information about how we can help you breathe easier, contact us. 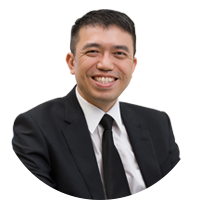 Dr Jim Teo is a Consultant at the Respiratory Practice specialised in Internal Medicine, Respiratory Medicine and Intensive Care Medicine. 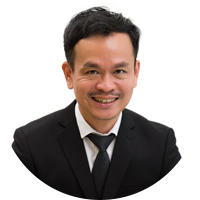 He is a Clinical Teacher for medical undergraduate teaching and a Trainer at the National University of Singapore for intensive care medicine appointed by specialist training committee. Currently, Dr Jim sits in various medical committees in Mt Alvernia Hospital, Parkway East Hospital and Concord Cancer Hospital. 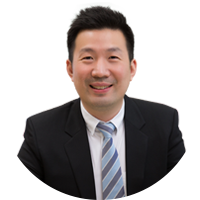 Dr John Law is currently a consultant respiratory physician at The Respiratory Practice and is currently a Board Member of the Respiratory Chapter at the Academy of Medicine, Singapore. 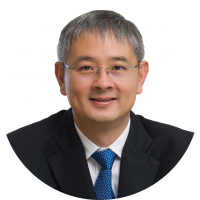 Dr Alvin Ng Choon Yong is a Consultant Respiratory Physician and Intensivist with The Respiratory Practice and currently the President of the Society of Intensive Care Medicine as well as the Vice President of the Singapore Thoracic Society. Dr Steve Yang obtained his basic medical degree from the National University of Singapore in 1994, and subsequently received training in Respiratory Medicine and Intensive Care Medicine at Singapore General Hospital (SGH). He further trained in Intensive Care Medicine and Interstitial Lung Disease at the University of Washington Medical Centre in Seattle, USA. He has obtained his Fellowship with the College of Chest Physicians (USA), the Chapter of Respiratory Physicians (Singapore) and the Chapter of Intensive Care Physicians (Singapore). He also holds the European Diploma in Intensive Care.